Andy Gibson is a writer and entrepreneur who specializes in helping people make the most of their minds. He's the founder of Mindapples, a social business that promotes public understanding of the mind and mental health, and speaks at conferences and advises businesses about how to work smarter and more sustainably. Through Mindapples and his private consultancy, Sociability, he's worked with a wide range of clients across Europe and the Americas, including Tesco, NewsCorp, L'Oreal, Lendlease, Accenture, the Wellcome Trust, the Nature Conservancy, Save the Children and many US and UK investment banks. He previously co-founded the education web start-up, School of Everything, and he's also a former Trustee of the Royal Society of Arts. His businesses have won awards from the New Statesman, the Cabinet Office and the UK Prime Minister, and Wired Magazine once named him one of the most influential people in UK technology - though they changed their minds again the following year. When he's not doing that, he writes books about the future of health, work and society. 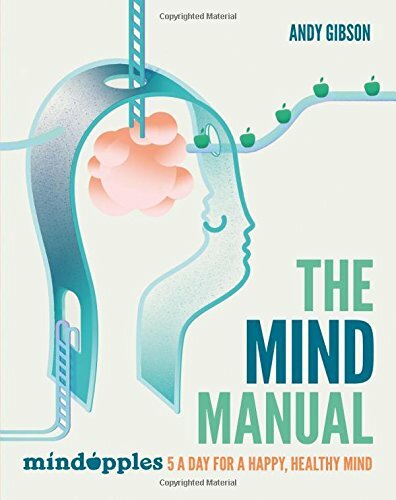 His most recent work is The Mind Manual (Hamlyn, 2018), is a practical guide to managing your mind, and is available throughout the UK and North America. His previous book, A Mind for Business (Pearson, 2015), won a CMI Management Book of the Year Gold Award in 2016. His other written works include Social by Social (NESTA/Openmute, 2009), one of the first ever guides to using social media for social good, and the influential UK policy paper, Local by Social. His interests include mental health, democracy, human rights, education, social change and the future of work. He holds degrees in history and psychology, and he's finding studying periods of rapid social and cultural change is the ideal preparation for the swirling waters of the digital age.